When my first book, How to Read the Akashic Records, arrived at my office back in 2009, I held the package in my hands for the first time and found myself holding my breath. It took a minute for me to relax into the experience of having my dream come true. Amazing. 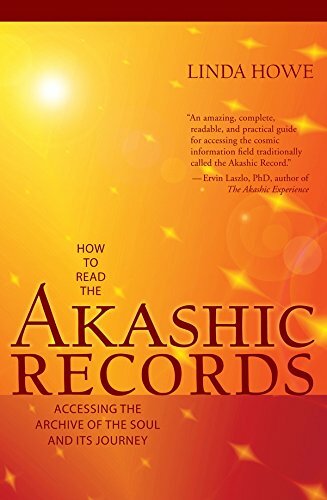 When I first started working in the Records, 25 years ago, the notion of having the Akashic Records available to anyone who would want them was downright scandalous. In that quarter-century, so much has changed for the entire culture. I always thought that the Records would launch at a time of peace and prosperity. But today we have the regime in Washington, the recent government shutdown, economic turbulence, upheaval of religious institutions and traditions. . .
My experience of working in the Records is one of certainty in the essential goodness of people and life, even when appearances indicate otherwise. Perhaps this is why the Records are being made available now on a mass scale . . . because now is the time we really NEED them. Now is a time that defies traditional ways of problem solving. Now is a time that calls for flexibility, open mindedness, courage, and a healthy dose of humor. Now is a time to let go of our old ideas, to release old programs of perception and understanding, and to discover our essential selves having authentic experiences in life. It's perfect that the Records are easier to access than ever before. Perfect because they are a tool that will enable us to find the Light in any chaotic circumstance – and provide the guidance we need to follow that Light. Light leading to Light. That's the Records. What a wonderful story. At the critical moment when ordinary humans are fast approaching the end of the proverbial rope, the Light of the Records emerges and takes the lead, establishing a bridge of Light for anyone called to cross. The crossing is from fear to freedom, from anxiety to certainty, from turbulence to tranquility. It is an inner journey with outer consequences. Our situations may not instantly resolve, but our relationship to ourselves, others, and all circumstances, will be restored to harmony and peace. As we come to know more peace than ever before, we will see it in our lives. We will witness the peace within ourselves. We will seek and find the peace that is present everywhere our attention goes. Then, the latent peace within all planetary life will arise as if from a long sleep. We will enjoy this potential that we have always known was waiting. We will call forth the peace because we know it is there, it has always been there waiting to be recognized, and it is there for us because we are the ones who know it to be so. Linda Howe will be hosting two events at East West, on Friday, March 8th, and Saturday, March 9th. Hi Linda I am a Akashic Record practioner in Australia, I have studied with jo fuller and just love being able to access my records, I was thinking of holding groups for people to access theirs, is there any material or structure I can use thank you.